Description: This is a three-part project intended to explore and enhance the experiences of new racialized faculty at UBC. The first stage of the project will involve conducting research on the needs, experiences, and challenges of racialized faculty in their first years at UBC. Although there are various resources and programs dedicated to faculty orientation, both centrally and Faculty-based, UBC has not yet examined how, if at all, the needs and experiences of racialized faculty differ and how such unique needs and experiences can be best supported. As a collaborative project, we will draw from multiple perspectives and mandates to pursue a shared objective: to enhance equity and inclusion at UBC. The project follows from the understanding that successful recruitment of diverse faculty requires their retention and that the deep engagement of diverse faculty has a profound and positive impact on all members of the University community. Description: The Indigenous Media Collective is a collaborative project developed and led by the First Nations and Indigenous Studies Program (FNIS) with the Institute for Critical Indigenous Studies (CIS) and supported by CiTR to promote Indigenous perspectives and empower Indigenous and allied studies through training and participation in broadcasting and multimedia initiatives. Through this iteration of the project, we intend to support and expand the existing Indigenous Media Collective at CiTR, to include not only traditional broadcasting, but also radio documentaries and written journalism – both in print through CiTR’s monthly publication Discorder and online through the CiTR and CIS websites. The ethos of maintaining a safe, productive space for Indigenous and non-Indigenous studies will remain, but the Collective will not manifest with a multimedia presence. We want to increase the Collective’s capacity, providing more opportunities for members to produce new content, attend conferences, and host path clearing speaker series. Description: Our vision is a thriving diverse community in our faculty. The “Forestry Diversity Crew” aims to build upon our past successes, as well as add new dimensions to our diversity programming drawing on survey data from our community. We build on our past approaches and activities to add new workshops specially tailored to specific groups within our Forestry community (e.g. undergrads, faculty, students, rainbow people, allies, international students). We are also planning new events to enhance networking and community building among everyone. One entirely new initiative includes a quantitative survey of student well-being and understanding of inclusivity. We will also specifically target the undergraduate community who has been somewhat less involved (to date) in our initiatives. Lastly, we propose to develop a pilot “Seedlings and Saplings” program to provide supportive community-based activities for kids at selected after hours Forestry events to enable more participation by students, staff, and faculty who are parents and might otherwise be dissuaded to child-care responsibilities. Description: The Wingspan Collaborative is an intellectual 'studio' of interdisciplinary scholars in disability studies, arts, culture and public pedagogy across many disciplines at UBC who collaborate on common projects regarding the rights of people with disabilities and who proactively promote the idea that while individual disabilities pose impairments, they should not be seen as deficits but instead as differences that enrich collective human experience and the arts. We identify variously as disabled, non-disabled or as arts who focus on disability aesthetics and linger in the liminal spaces between and among arts/researcher/teacher in the broadest sense of these terms, hence we are Dis/A/Tographers in an unequal global world. This project will involve staging a high -profile dis/arts and disability studies Series which makes the ordinary and extraordinary lives of artists and scholars with disabilities take centre stage in artistic, accessible and imaginative ways. Promote a campus-wide dialogue about intercultural understanding and the role of diversity and inclusion in supervision excellence, one that broadens our awareness of cultural through an intersectional lens. Conduct focus groups to gain insight and input into the issue of intercultural fluency and supervision. Data and information collected will inform the symposium and potential training/education initiatives to build competencies and tools for students, staff and faculty to self-reflect and interact with difference in ways that are mutually beneficial within the graduate student-supervisor relationship. Develop and present a symposium, inviting researchers, senior administrators and students to share experiences, data, and best practices on supervision excellence that promotes diversity and inclusion. Develop a template for a workshop on intercultural fluency in graduate supervision based on the data, research and insights gained through the focus group discussions and the symposium. Develop a set of recommendations regarding graduate supervision excellence in the context of intercultural fluency and present to key stakeholders and Vice-Presidents Students, Research, Academic, and Human Resources. Description: Multiprofessional and interprofessional experiential opportunities for students to learn from people with visible and non-visible disabilities are offered by Patient & Community Partnership for Education in the Office of UBC Health. The purpose of this project is to extend opportunities to learn directly from people living with a disability by producing and learning modules that illustrate multiple perspectives on three commonly experienced problems: stereotypes; barriers to access; communication challenges. Learning materials will be co-developed by students and people with disabilities who are volunteer mentors in the UBC Interprofessional Health Mentors program and used to enhance existing and new curricula. The ultimate goal is to ensure UBC students are well prepared to meet future healthcare needs through incorporation of the perspectives living with disabilities in their education. Read the final report here. Description: The 2016 pilot Teacher Education for All! (TEFA) focused on beginning to build capacity for students (pre-service teachers), faculty and staff in UBC’s Teacher Education Program in order to create and nurture an inclusive culture, work place and learning environment. The pilot set up a Teacher Education for All! Working Group of Bed faculty, staff and students to review policies, conduct curriculum mapping across the Bed Program courses, offer workshops, and produce an LGB/T2/Q inclusion statement for Bed syllabi. The proposed 2017-18 project extends the pilot through creating and comping resources into a digital clearinghouse, enhance an inclusive environment in the Faculty of Education by providing an extensive menu of learning opportunities and workshops at all levels to build teacher candidate and instructor capacity for LGB/T2/Q inclusion in their own lives and teaching careers. The year would culminate with a TEFA conference. Description: Confluence: A Women’s Water Circle puts into action creative new ways for Indigenous people and settlers to peacefully come together to voice our care and concerns for local watersheds. In this one-day forum, an inclusive facilitation design engages people in an innovative community water circle process to advance sustainable solutions that begin in sharing our stories as neighbors. Small group discussions are interspersed with water-themed cultural presentations: music, poetry, theatre, media and visual arts. The two keynote presentations outline vital relations between Syilx women and water, and suggest how newcomers to Syilx territory can respectfully learn more about sustainable ways of co-existence. This forum will be documented in photos, video and a final creative report for web publication. This significant equity and community-building event will strengthen understanding and deepen partnerships with UBC and community members in the Columbia River Watershed Storytelling project as an ongoing initiative with Okanagan Nation Alliance. Description: This project aims to create opportunities for a diverse range of audience, on & off UBCO campus, to gain literacy in Canadian history. The telling/teaching of the history of historically marginalized groups in Canada are often incomplete, stigmatizing and uninspiring. Re-telling of history by those who know it best, such as the descendants of those who have been oppressed, address omissions/distortions of key details, contexts, and perspectives. In collaboration with Inspired World Café Society, community events for promoting history literacy in diverse audiences via the retelling of Canadian history from the perspective of descendants will be offered. This important initiative meets UBC’s commitment of student learning, community engagement, intercultural communication, and international engagement (the “international” is here, not just overseas). Sustainability is by having key organizations (e.g., school district, UBCO units) run their own series post-collaboration to design each community event for each speaker that matches their audience. Description: Through documentary and animation, this project will increase awareness and create dialogue about racial and cultural barriers to integration in Okanagan. We will collect stories of discrimination through interviews and include animations. Story animations allow audiences to hear interviewees share their story while seeing an animation of the story unfold. It is the newest and most popular form of documentary-making and this project will be the first of its kind in Kelowna. Following the documentary production, we intend to organize a keynote speaker event a workshop where we will screen the documentary and facilitate small-group discussions. This project is in partnership with Jin Park of Okanagan Korean Culture and Knowledge Society and Mr. Ismaël Traoré. Description: The Syilx mural will be a unique student let community art project on University of British Columbia Okanagan Campus. The imagery will be inspired by the Indigenous nation, upon whose unceded territory our campus is located, and their language Nsyilxcen. Indigenous Students envision the mural to be representational and possess colourful, contemporary with Syilx motifs. The symbolism will be aesthetically pleasing as well as meaningful. Syilx artist Sheldon Louis Pierre will mentor Indigenous students and co-create mural. Unveiling of the piece may include a DJ set by Coast-Salish artist Ronnie Dean Harris to commemorate the completed project. We anticipate the unveiling to be a welcoming and interactive environment where everyone can partake and learn. Description: In response to the lack of indigenous cultural celebrations on campus, FNSSA hosts an annual pow-wow to celebrate the resiliency, vibrancy and diversity of indigenous peoples. The pow-wow has taken place annually since 2015 and will be entering its third year in April 2017. Pow-wows are a celebration of life through song and dance. It originates from the Nehiyaw (Cree First Nations) people, east of the Rocky Mountains. The title, “Nehiyo-paskwa-itsimowin” is Cree itself, “nehiyo” is a greeting for Cree people, “paskwa” refers to the prairies where the celebration originated and “simowan” means the way he/she dances. Description: This project will consist of monthly seminar discussion groups starting in Fall 2016 to examine the intersections of race, gender, and violence, especially as they impact Asian student communities. The seminar discussions will open up spaces for students to share experiences and resources, build analyses, and discuss strategies of organizing against sexual and other forms of violence at UBC and within Asian communities in Canada. The series will culminate in a public symposium in spring 2017 to bring these conversations to a wider audience at UBC and beyond. The goal of the initiative is to develop a suite of new diversity and inclusion initiatives across the Faculty of Forestry. It will included development of educational and awareness materials and an undergraduate quality-of-life survey. They are planning a Diversity & Inclusion Series with panel discussions and speaker series on topics chosen in consultation with the Forestry Undergraduate Society (FUS), Forestry Graduate Student Association (FGSA), Forestry Orientation Leaders (FOL), as well faculty and staff. The UBC Debate Society is planning the first Women’s Tournament at UBC welcoming all who are non-male identifying. They aim to have a predominantly non-male judging panel and a non-male head judge in each room. Partnering with other organizations they will publicize the event on campus, encouraging newcomers who have never debated before to participate (debating, judging or spectating). The tournament will consist of a training session, two days of debate, a series of prominent feminist speakers, and a women’s forum to allow participants to share their views on their experiences with oppression. The Diversity and Inclusion Team at the UBC Library will build a training program for employees at UBC-V and UBC-O. Three main elements are: place-based learning visits to Musqueam, the Ki-Low-Na Friendship Society, and the Sncewips Heritage Museum; in-person workshops (later available online); and a Shared Learnings event at both campuses. This program will gather data to inform workshop design and will educate Library employees about ways that they can respectfully engage with and support Indigenous initiatives within their work at UBC. The project will propel the Library forward in providing excellent services to Aboriginal patrons and non-Aboriginal patrons. The Cultivating Creative Communities project aims to build and sustain global relationships between UBC student teachers at the Vancouver campus and UBC Moi student teachers at the Dadaab refugee camp in Kenya by offering expressive arts workshops. The intention is to support teacher’s professional development in the arts and to encourage a cross-pollination of ideas and knowledge exchange between graduate students. The project has three stages. Stage One: The UBC student teachers at the Vancouver campus and UBC Moi student teachers at Dadaab refugee camp will each be presented with an opportunity to explore their personal experiences of attending the graduate teaching program by creating a photo self portrait and a six word memoir. These portraits will be exchanged between the two groups to encourage building collegial relationships. Stage Two: Two one-day workshops will be offered at both the UBC Vancouver campus and the Borderless Higher Education for Refugees (BHER) Centre at the Dadaab Refugee Camp in Kenya and will explore themes of personal creative expression, gender equality and equity, peace, and conflict resolution.For the purpose of generating new teaching strategies in the arts in the classrooms. Stage Three: In 2017, an art exhibit entitled Cultivating Creative Communities: Building and sustaining global student relationships will present the creative expressions and personal experiences of the students who participated in this project. The project aims to encourage intercultural dialogue and foster cultural awareness between UBC-Moi student teachers and UBC Vancouver campus students as a way of building sustainable relationships. The second Racialized Students Resistance (RSR) Conference will be held on Musqueam Lands at UBC on May 29, 2017. This one-day conference will offer a platform to address subtle/explicit institutional systems of racialized violence and oppression. RSR 2017 will be organized by and for racialized members of our scholarly and advocacy community and will be open to a diversity of people who identify as racialized (e.g. Indigenous, Black, people of colour, mixed race). UBC Afindisé is a brand new project developed by AAI, UBC’s most prominent African student-led organization, a club committed to fully improving discourse surrounding Africa and the ever-growing African diasporic community at UBC. This dialogue series aims at unleashing the power of intergenerational dialogue, a common value and tradition shared across the continent, in order to provide the UBC African minority with a platform to foster inter and intracultural understanding on campus (1st pillar), address the specificities of their struggles at UBC (2nd pillar), and explore ways to overcome them through critical and in-depth discussions with their “elders” (3rd pillar). The voice of Africa is not loud enough on campus. Indeed, only two African Studies courses are offered at UBC (AFST 250 and AFST 352). Therefore, this project will also serve as a promotional tool to expand the AFST Minor Program (an Afindisé petition for the development of the Minor will be launched). A Call to Action: What Do Medical Learners with Disabilities Need to Optimize their Learning? Limited policy and resources exists to inform accommodations for medical learners – where trainees are responsible for direct patient care in ever-changing environments (ie. clinic, ward, operating room) and where a great deal of stigma exists to disclose their disabilities to patients, peers, and supervisors. UBC learners have begun to express their challenges through national and peer reviewed publications and the BC Human Rights Tribunal. Our goal is to identify challenges and opportunities for creating inclusive clinical learning, building on the work of the Inclusive Campus project led by Dr. Tal Janus, professor in UBC Occupational Science & Therapy. The Teacher Education for All project will build capacity for faculty, staff and students in Teacher education to create and provide an inclusive culture, workplace, and learning environment with a particular focus on the intersectional approaches to thinking about sexual and gender diversity and pedagogical approaches to recognize, and intervene to transform, the impacts of systemic discrimination. Patients with blood cancers may require a stem cell transplant as part of their treatment. However, 80% of patients do not have a suitable match in their family, and must find an unrelated donor. Canada’s stem cell donor-database is used to match potential donors to patients. Individuals age 17-35 can register to join this database at stem cell drives, where they swab their cheeks to provide a tissue sample for a DNA test. Finding a match for transplant is difficult – especially for non-Caucasians, who are underrepresented on Canada’s donor-database. In 2011, we founded the Stem Cell Club, aiming to improve equity in access to stem cell donors. To date, we have coordinated dozens of stem cell drives at campuses across British Columbia, and recruited over 5500 potential stem cell donors (representing 1% of donors on Canada’s donor-database). Our team specifically targets recruitment of ethnically-diverse donors, including Aboriginal Peoples (53% of the donors we register are non-Caucasian). Our initiative increases the chances for patients from these ethnic groups to find a suitable genetic match for stem cell transplant. Our drives establish informal learning spaces on campus, where students educate other students about the need for stem cell donors from all ethnicities. The Intersectional Asian Canadian Initiative (IACI)is dedicated to creating a safe platform for people of Asian Canadian descent to raise public consciousness of the historical and contemporary issues that affect and influence their identity as Canadian citizens, in particular concern to the intersections of gender, sexuality, and heritage. By engaging with members of Asian diaspora communities, the Intersectional Asian Canadian Initiative (IACI) aims towards validating the many ways in which Asian Canadians understand their identity, and stresses that there is no pluralistic experience under Canadian citizenship. In order to reverse the process of historical erasure, the Intersectional Asian Canadian Initiative (IACI) is aimed towards celebrating, remembering, and sharing the lives of Asian Canadians. The Intersectional Asian Canadian Initiative (IACI) is dedicated to cultivating a safe space where Asian Canadians can find a strong sense of community, regain the voices that have previously been unheard, and empowering communities who have faced historical and systemic oppression. The F-Word Planning Committee acknowledges that the conference will be taking place on UBC Vancouver campus, which is on the unceded territories of the Musqueam Nation. The F-Word Conference showcases student research and community collaboration across activist and academic disciplines. The conference provides a venue for feminist scholars, students, activists, and community members to learn each other's skills, knowledge(s), and experiences. The Conference consists of keynote presentations; student panel presentations and workshops lead by community organizations. Since the conference will be dealing with difficult topics, such as sexual assault, racism and colonialism, it is in our best interest to provide a safe and welcoming space for our guests. We will be providing “safe(r)space” areas and volunteers to support those who may feel triggered by the content being presented. Given the lack of inclusive Indigenous cultural events on campus, our goal is to maintain an Indigenous Sharing Series throughout the 2016-2017 academic year to celebrate Indigenous knowledge, culture, and history, as well as engaging the UBC and Vancouver community in a productive and supportive relationship to discuss Indigenous topics. As we occupy unceded Musqueam territory we will be consulting with Musqueam throughout the series. 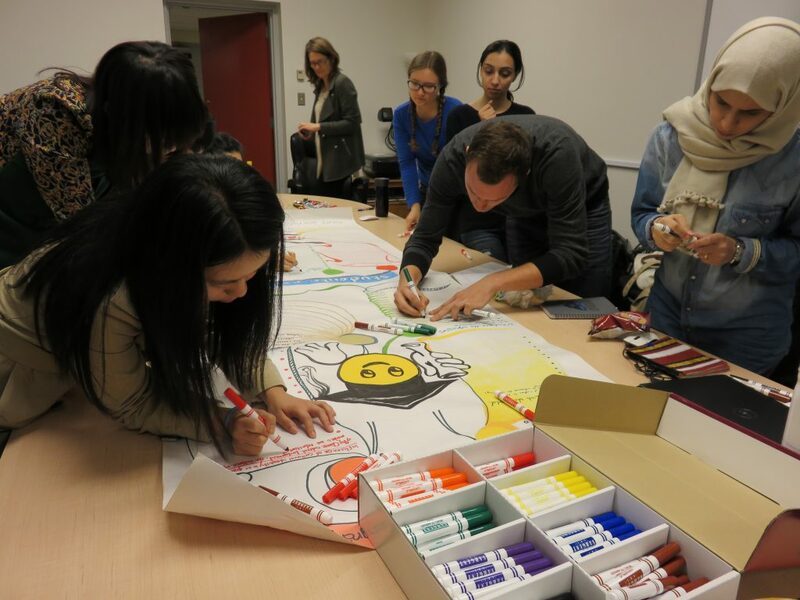 The project is to develop an orientation package that helps students learn about Vancouver’s Downtown Eastside (DTES) for use by the UBC Learning Exchange, faculty and staff on campus, and DTES organizations. We aim to help students and faculty better understand the strengths, opportunities and challenges of social inequity facing communities like the DTES. In Phase 1 (EEF 2015) we updated existing orientation materials and created new self-directed tours, fact sheets and a video. In Phase 2 we will diversify the materials, collaborate with campus and community partners in implementation, explore involvement of DTES residents in orientations, and evaluate impact. The project enhances equity by directly involving DTES residents as experts with lived experience who put a human face to an often misunderstood and underrepresented community to counter stereotypes and negative perceptions. We hope to change the discourse of the DTES as a place of fear and hopelessness. The fire to revive Indigenous tattooing has been ignited in North America; this projects objective is to host a residency style training program that will help fulfill the need for trained cultural tattoo practitioners in Canada. It will work with four Indigenous artists who will in the end be qualified professional cultural practitioners that are trained in design application, cultural and spiritual safety, and the health aspects of tattooing. During this residency emphasis will be placed on health and safety with the trainees being certified in blood borne pathogens. They will undertake research into their cultural and ancestral tattooing tradition, cultural protocols that relate to the application and practice of tattooing in each community, and design application. The expected outcomes include the full training of these artists in the practice of traditional tattooing, including the practice of hand poke and skin stitch tattooing and a clear conviction of their responsibilities as cultural practitioners. Each artist will be building an essential set of skills that will be part of the decolonization process and the healing of their respective communities in the revival of a key cultural artistic tradition and returning a practice that will strengthen individuals in their own cultural identity. Food insecurity at UBC Okanagan is not well understood. This project aims to change this by researching food insecurity on campus, as well as through hosting ‘Breaking Bread’ dialogue dinners, and other programs and events. Relationships will be built with existing community food security programs to connect students to them and to further develop student leadership opportunities. The 2017 Human Library event at UBC Okanagan will position various community members as “books” representing diverse backgrounds, opinions, and perspectives and allow the campus community to interact with them as “readers.” The aim is to challenge stereotypes and prejudices while further developing an understanding and appreciation of diversity. This initiative will further develop the Tea Talks project, which hosts ongoing seminar workshops which address a range of topics from body shaming to sexism, violence against Indigenous women to conversations around racism and hair. Through a series of short story animations for a documentary, this project will increase awareness and create dialogue about racism in the Okanagan. The group will collect stories of racism through interviews and animate them, allowing audiences to hear interviewees share their stories while an animation unfolds. Description: The AMS Sexual Assault Support Centre (SASC) is launching a new program this year to encourage male identified students to get involved in creating an awesome, safe and caring community. The Creating Healthier Masculinities Leadership Program is a multi-faceted project, which will promote healthier masculinities, healthy relationships and work towards preventing gender based violence on the UBC Vancouver campus. The projects goal is to eradicate the damaging stereotypes that society teaches men about what it means to be masculine, and to encourage the campus community to get involved in creating a safer, caring community. The program is recruiting male identified students on campus to become leaders, to take ownership of new projects to enact culture change on campus. We will be hosting several events in the upcoming month where you can hear more about the program, and how you can be involved! Description: The F Word Conference showcases student research and community collaboration across activist and academic disciplines. The conference provides a venue for feminist scholars, students, and community members to learn each other’s skills, knowledge, and experiences. The conference was held in May 2015. Description: In response to the lack of inclusive cultural celebrations at UBC, members from the Indigenous Students Association (InSA) and the First Nations Studies Students Association (FNSSA) collaborated to host UBC’s first pow-wow in April 2015. The 2nd Annual Nehiyopasquaitsimowan Powwow at UBC takes place on March 26, 2016 at the UBC AMS Nest, 6133 University Blvd Vancouver, BC V6T 1Z1. Description: The School of Social Work is currently engaged in the implementation of a comprehensive and progressive Educational Equity and Diversity Strategic Plan. Description: The objective of this project is to improve the overall diversity of CiTR’s membership and programming in the areas of Indigenous programming, women’s programming and programming for and by those with disabilities. Radio content will be broadcast on air and available online. Warren Fingrut, McKyla McIntyre, Cassandra DeLuka of OneMatch, and Adam Pankalla at the "May the Swab Be With You" Stem Cell Drive" at UBC SUB, April 2012. Description: Patients with blood cancers may require a stem cell transplant as part of their treatment. However, 80% of patients do not have a suitable match in their family, and must find an unrelated donor. Canada’s stem cell donor-database is used to match potential donors to patients. Individuals age 17-35 can register to join this database at stem cell drives, where they swab their cheeks to provide a tissue sample for a DNA test. Finding a match for transplant is difficult – especially for non-Caucasians, who are underrepresented on Canada’s donor-database. In 2011, we founded the Stem Cell Club, aiming to improve equity in access to stem cell donors. To date, we have coordinated dozens of stem cell drives at campuses across British Columbia, and recruited over 3200 potential stem cell donors (representing 1% of donors on Canada’s donor-database). Our team specifically targets recruitment of ethnically-diverse donors, including Aboriginal Peoples (50% of the donors we register are non-Caucasian). Our initiative increases the chances for patients from these ethnic groups to find a suitable genetic match for stem cell transplant. Our drives establish informal learning spaces on campus, where students educate other students about the need for stem cell donors from all ethnicities. Description: The Indigenous Students Association (InSA) is excited to begin an innovative Indigenous Sharing Series held on the UBC Vancouver Campus. This Indigenous Sharing Series will be held throughout the 2015-2016 school year to celebrate Indigenous knowledge, culture, and history while engaging the UBC and Vancouver community in a productive and supportive relationship to discuss Indigenous topics. The Indigenous Sharing Series will host a variety of speakers including Elders, Knowledge Keepers, local activists, business and community leaders that can share what they have learned about culture, diversity, strength and resilience of Indigenous peoples. The goals of this Sharing Series are to promote community involvement and bring Indigenous and non-Indigenous people together. It will promote understanding of Indigenous culture, knowledge, ways of knowing as well create a space for Indigenous and non-Indigenous peoples to learn from each other. The Sharing Series is a free event and all are welcome to attend. Light snacks and refreshments will be provided at each event. Dates, times, and guest speakers all to be announced at a later date. Many of the events will be held at the First Nations Longhouse on the UBC campus. We would like to acknowledge that these events will be taking place on the traditional, ancestral, and unceded territory of the Musqueam people and we thank them for allowing us to do so. Please follow the Indigenous Student Association facebook page to stay updated on this Sharing Series and we look forward to learning and sharing with you. Description: Annette Henry from UBC’s Department of Language and Literacy is organizing an exciting series of forums with renowned Black Canadian scholars in 2015-16. Race Literacies: A Black Canadian Scholars’ Series will feature two scholars engaging in a dialogue with each other and with the audience about their work and issues of race and social justice. After each forum there will be opportunities for small group discussions with students regarding curriculum and research in Canadian Black Studies. The series launches on November 12 with an afternoon and evening event. Christina Sharpe, Associate professor at Tufts University will speak at 2 pm at St. Johns College, UBC Vancouver. The evening event—the official launch of the series— features poet and novelist Dionne Brand and novelist and critic David Chariandy in conversation at SFU’s Beedie School of Business in downtown Vancouver at 7:00 PM. Both of these events are co-sponsored by UBC and SFU. May 2015: UBC Black scholars Denise Ferreira da Silva, Phanuel Antwi and Handel Wright and Annette Henry will present a forum. Race Literacies: A Black Canadian Speakers Series is funded by a UBC Equity Enhancement Grant and co-sponsored by the English Department at Simon Fraser University. Other UBC sponsors include the Department of Language and Literacy Education, the Centre for Culture, Identity and Education, the Institute for Gender, Race, Sexuality and Social Justice and the Jane Rule Endowment for the Study of Human Relationships. Description: Vancouver’s Downtown Eastside (DTES) is more frequently spoken about as a place of fear and hopelessness, rather than a place of resilience, hope and creativity. Perspective and Strength aims to help the UBC community better understand the strengths and opportunities, as well as the problems of social inequity facing communities like the DTES, along with efforts underway to deal with these issues. As a place-based initiative with established programs, the UBC Learning Exchange is uniquely positioned to lead the development of curricula and educational materials that orient faculty and students to the assets and challenges of the DTES. Description: This project will enhance UBC’s reputation as an equitable employer by providing training and developing resources that specifically address issues faced by trans* and gender variant staff, students, and faculty to help create a more inclusive and welcoming campus. Description: Currently, one in three Canadians will experience a mental health problem at some point in their life, and one in five will experience this problem each year. Despite the prevalence of mental health issues, those struggling with mental illness are an often misunderstood, under-supported and part of a stigmatized population. By educating the UBC staff and faculty community and increasing our collective mental health literacy, we can positively impact the capacity for holding caring conversations and providing supportive resources to students and colleagues. This program will provide key tools and skills to enhance staff and faculty effectiveness in the workplace which will contribute to creating and maintaining respectful and inclusive work environments where staff feel equipped to be productive in their work. This course will also contribute to raising the collective consciousness around mental health on campus, allowing community members to feel safe and recognized. Mental Health First Aid (MHFA) is an internationally recognized and evidence-based training program that has been adopted and adapted by the Mental Health Commission of Canada with facilitation support from the Canadian Mental Health Association. MHFA teaches first aid skills (similar to physical first aid in CPR) to cope with and assist someone in the event of a mental health crisis or challenge. The goal of this project is to offer work-group-based training in MHFA to specific departments, units and employee groups on campus, particularly to staff groups working closely with students. By providing the training at no cost, and within specific departments or work-groups, that we can significantly reduce the barriers to participation. This training will contribute to creating an outstanding and respectful work environment while fostering understanding and equitable treatment of those experiencing and living with mental illness. It will also ensure that staff and faculty feel supported and more equipped in their jobs to handle sensitive and challenging situations that may arise. The learnings gained through the training will help in creating a campus culture where those with mental health challenges feel represented, valued and respected. The hope is that it will also encourage and inspire those with a personal connection to mental illness to attend and participate, while also demonstrating institutional support to staff, students and faculty for increased mental health education and support at UBC. Description: The project will include a series of workshops to increase awareness of unconscious bias amongst faculty and trainees in the Departments of Medicine and Surgery. By teaching faculty and trainees to recognize unconscious bias they will have the tools and strategies to mitigate the effects of unconscious bias in their careers and in their delivery of healthcare. Description: The World University Service of Canada (WUSC) is a non-profit development and education agency with student-led local committees across Canada. WUSC-UBC is one of the university’s oldest student clubs. WUSC-UBC sponsored and re-settled its first student refugee in 1981 on a shoestring budget. Since then, UBC students have voted overwhelmingly to fund the Student Refugee Program (SRP) through student AMS fees. Through this program, student refugees have gone on to work in the non-profit, government, and business sectors. As well as, continued their education in areas like medicine and law. The “From Camps to Coast” project is an opportunity to share the impact and legacy of this exceptional program through public lectures and student-led workshops. Current UBC SRP scholars and other WUSC sponsored scholars from around BC will be invited to an intensive training weekend. Where, they will be trained in public speaking and in developing interactive workshops to be delivered at UBC and around the province. The aims of these workshops are to enhance local understanding of the experiences of refugee students through firsthand accounts of re-settlement, the role of education in promoting a more equitable world, and to promote access to education for all, regardless of life circumstances. Description: Their vision is to provide various kinds of events and platforms for students to discuss issues related to Chinese communities in a respectful manner. The dialogues are organized and targeted to students from Mainland China, Hong Kong, Macau, Taiwan and Canada but are open to all UBC community members. Description: In partnership with UBC and the Alternator Gallery they will host an Indigenous Art Week aimed at providing an accessible platform for dialogue among audience members of all backgrounds. 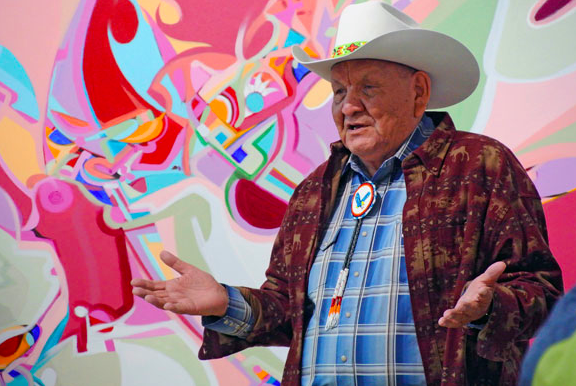 The primary objective of the event is to facilitate cross-cultural healing, cognitive decolonization, and an overall appreciation for Indigenous artistic expression. Description: The project will bring together established Indigenous artists from across the country to meet and work with local Okanagan artists and Elders to present new work, develop collaborations, and integrate Indigenous methodologies around art and daily process into the fabric of UBC Okanagan and the Kelowna community at large. Description: This one-day workshop will be held in collaboration with NEADS (National Educational Association of Disabled Students) and will include speakers and student workshops. 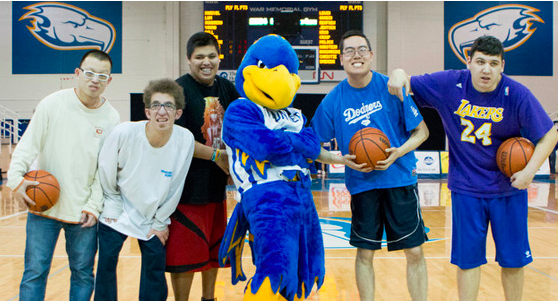 The purpose of the event is to engage students with disabilities and develop student leadership skills to create ambassadors for disability awareness and inclusion practices on campus and in the community. Description: UBC strives to support the whole student, recognizing the interconnectedness of students’ academic and nonacademic lives. The existing Multi-Faith Space provides students with a private, neutral space for prayer and spiritual expression that is inclusive of the rich diversity within our campus community. However, practical improvements will make the existing Multi-Faith Space more amenable to student needs – which is exactly what this project aims to achieve. Description: The purpose of the project is to develop a peer-driven community-based project that builds spaces for greater inclusion of queer, racialized, and Indigenous students. A multidisciplinary team will partner with campus groups to organize a symposium and provide training and mentorship to students to support them in carrying out outreach with youth in the wider community. Description: The objective of B.U.I.L.D club will promote involvement in the Special Olympics Canada Summer Games (July 8-12, 2014) and increase awareness of intellectual disabilities amongst students, staff and the University community. They will work to build sustainable relationships with intellectual disability organizations and members of the UBC community. Read KIN Students Help B.U.I.L.D. Relationships Between People with Intellectual Disabilities and the UBC Community. Description: The F Word Conference is a unique, student-run event that fosters the research of undergraduate students interested in feminist thought, as well as feminist scholarship and activism more broadly. It aims to raise awareness about a range of important issues, including but not limited to indigenous studies, queer theory, fat-positivity, anti-racist work, decolonizing methodologies and their intersections with feminisms, social justice, and sexual assault. 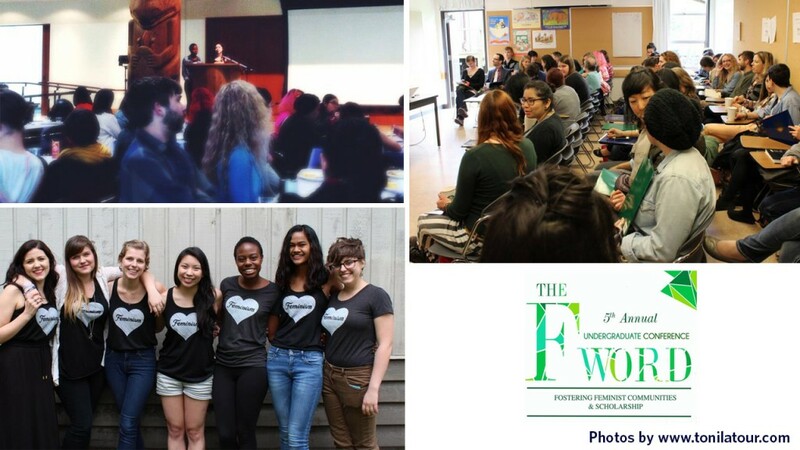 The 5th Annual F Word undergraduate conference with the theme "Fostering feminist communities and scholarship" was held on May 3, 2014. Description: The First Nations Studies Student Association (FNSSA) and Indigenous Students Association (InSA) are proud to announce the Nehiyo-paskwa-itsimowin Pow-wow Celebration! 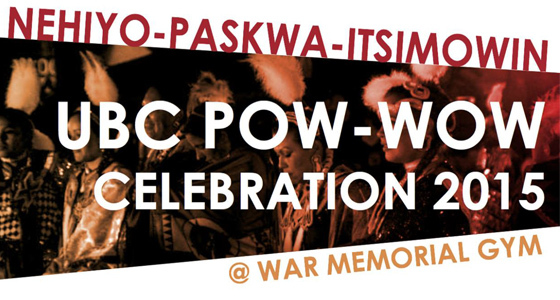 This will be UBC’s first annual Pow-wow celebration and will be held on Saturday, April 4th from 12:00pm-11:00pm at the War Memorial Gym on the UBC Vancouver Campus. The goal of the Nehiyo-paskwa-itsimowin Pow-wow is to honour and celebrate Cree pow-wow traditions, and is an effort to educate the general public about the diversity of Indigenous cultures. Pow-wow is a traditional Cree celebration about life, dance and song, and this event is an opportunity for Aboriginal Peoples to celebrate this culture, while also offering the chance for non-native people to learn and be a part of the pow-wow experience! The details of the event can be accessed online through Facebook at https://www.facebook.com/events/813936192011446/. Knowing the Land beneath our feet logo was designed by Kathy Lea Moyou from UBC Arts ISIT. Description: UBC Vancouver is rich in Indigenous history and presence, but for many students, faculty, staff, and visitors, this history and presence is invisible. Many of the Indigenous names, artwork, and architecture across campus denote important relationships between campus units and local First Nations, and all provide the occasion to think about our history together in this place. They tell stories, encode values, and point the way to respectful relationships with local First Nations and to better understanding of our presence on Musqueam land. Knowing the Land Beneath Our Feet is a multimedia initiative aimed at bringing these stories and histories to light to teach students, faculty, staff and visitors alike about their responsibility to uphold the relationships signified by these pieces. Project leads Sarah Ling and Spencer Lindsay are partnering with the First Nations Studies Program (FNSP), Coordinated Arts Program (CAP) and Aboriginal Initiatives, Centre for Teaching, Learning and Technology to create curriculum materials that incorporate their walking tour into sustainable lesson plans that enable students to experience what it means to be on the traditional, ancestral, and unceded territory of the hən’q’əmin’əm’-speaking Musqueam people. Ling and Lindsay are also creating a digital tour on a web interface developed by UBC Digital Media Technologies so that anyone can access information about the many house posts, totem poles, signs, and other sites of this tour. This initiative is supported by the 2014 UBC Equity Enhancement Fund and will be piloted with FNSP and CAP classes and user groups throughout the Spring of 2015. A public launch will follow. Read a story in The Talon about this innovative project. Description: The objective of this outreach program is to introduce students from low-income families, in grades 8-10, to a variety of health science programs and activities to inspire career choices in Health Sciences. Description: This project aims to modify and enhance curriculum experiences in the Teacher Education program through the engagement of Indigenous knowledge holders (e.g., Elders and knowledge keepers). These knowledge keepers will mentor faculty/instructors and model for them, as well as the 680 teacher candidates in the program, the practices of Indigenous pedagogies in a range of undergraduate course settings. Description: A five week summer internship program where aboriginal high school students will take courses in math, science and English, work with members of the university community, engage in cultural activities and learn about academic and career possibilities at UBC and beyond. Description: Where Are We in the World? (WAWW) is a collaboration between St. John’s College and Aboriginal Initiatives – Centre for Teaching, Learning and Technology at UBC. The focus of this new initiative is to provide a strong foundation experientially to answer the question of “where” we are in terms of UBC and Vancouver as places on unceded Musqueam, Squamish, and Tsleil-Waututh territories. As the core of this film series, viewers are invited to (re)engage with sites around the Lower Mainland shaped by often ignored or hidden histories of struggle and agency through the stories of local community members, elders, educators, activists, and historians. The first two films are short documentaries (approx. 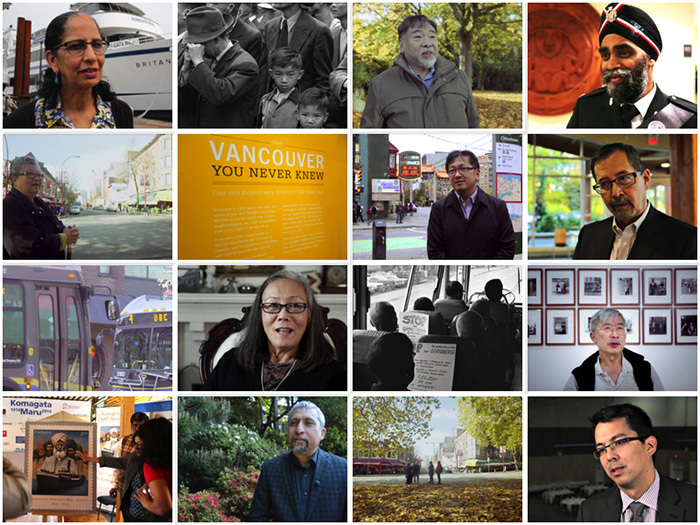 10-13 minutes minutes each) that feature an array of perspectives that introduce us to Vancouver’s Chinatown and the Komagata Maru incident of 1914. These stories provide us all an opportunity to critically reflect on themes of place, historical consciousness, and reciprocity. The next film in the series will explore UBC’s location on the unceded territory of the Musqueam people. WAWW builds upon existing initiatives that revitalize stories and foster dialogues regarding local Indigenous and Asian Canadian histories and issues. As it continues to develop and is integrated into a variety of teaching and learning spaces, the films will become the backbone of a program of site visits, dialogues, and virtual introductions to both the campus and the city that engage the UBC community and communities around the city into a sustained conversation about where they live. To access our films, please visit this playlist on UBC’s YouTube channel. To learn about and access relevant resources developed by members of our project development team, please visit the CTLT Aboriginal Initiatives website and the St. John’s College website. A list of further resources developed by our partners is available here. In 2013, a total of $69,920.00 was approved for the following initiatives on the Vancouver campus. Read below for information on some of the initiatives that received funding. The objective of this joint partnership is to engage the Aboriginal community in formalizing concepts for working with Indigenous knowledge and utilizing learning pedagogies in order to assist instructors in their teaching practice and methods. The overall objective of this multi-phase project is to facilitate the creation of an inclusive UBC campus for students with disabilities in the health and human service professional programs. The objective of the first phase (current application) is to better understand the barriers and facilitators for students with disabilities in the health and human service professional programs and identify initial educational strategies and resources to better support students with disabilities. The goal of this project, approved by the School Council, is to develop a comprehensive and progressive educational equity policy and plan for the School that addresses employment, student recruitment and admission, teaching and learning. This project is designed to meet the objectives of the Aboriginal Strategic plan, in particular, the goal of engaging with Aboriginal students at a younger age. An immediate benefit will be an increase in secondary completion and post-secondary awareness and comfort for Aboriginal youth. Description: The objective of this outreach program is to provide secondary school students, in particular students from rural areas of British Columbia, and students from schools with large aboriginal populations, with hands-on laboratory experience, career information and answers to questions about science, in order to inspire educational and career choices in life sciences research and related fields. 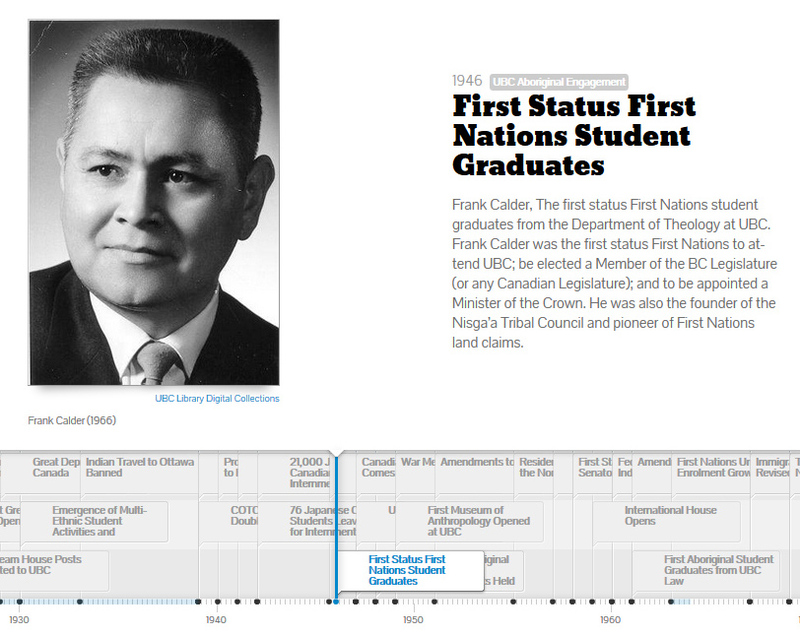 Description: The timeline - Time and Place at UBC: Our Histories and Relations - documents UBC’s key historical moments with Aboriginal peoples, while locating these moments in broader contexts at institutional, provincial, and national levels (i.e., UBC, BC, and Canada). Although the special focus of the timeline is on Aboriginal peoples, it is not only about them, nor is it only about the past. Rather, the timeline intends to speak to us all – Aboriginal and non-Aboriginal peoples alike at UBC – to build a shared understanding of the specificities and complexity of the time and place that we share today. 2) offer a historical lens through which we reflect on our relations at UBC by allowing us to embed ourselves in the multiple historical layers of this place.